This is a not for profit, fan based website. Created by Robert Pattinson fans as a place for other Robert Pattinson fans to enjoy, and find information on him. All pictures, information, etc. are copyrighted to their original owners. No copyright infringement is intended. 2008, 2009. Robert Pattinson will have a short haircut for the movie "Water for Elephants" and he think about to keep it forever. It will be interesting to see how will fans react as they see Edward with different haircut! Robert Pattinson finally admitted: "Yes, I am in relationship with Kristen Stewart"
Robert Pattinson has finally admitted that he is in a relationship with his colleague, actress Kristen Stewart. "It is not easy, we can't appear nowhere together because we make chaos," said Robert. Interest in the 'Eclipse', the third film continuing saga 'Twilight', grows from month to month, and have recently emerged and the first pictures from that, there is no doubt, the movie will be major hit. Robert Pattinson said he enjoyed filming the movie 'Remember Me' because he got a chance to work with Pierce Brosnan. Rob Pattinson says that Brosnan gave him a few tips about the fans. Robert Pattinson is pressured to try in music business. Last in a series of bids Pattinson received from Simon Cowell, head of the popular 'American Idol' jury. See in the article how Robert responded on offers..
Robert Pattinson will play a new role with the Hollywood star Reese Witherspoon. Acting the role of Jacob, who works in a circus. The film will be called 'Water for Elephants'. The popular vampire saga for women and teenagers doesn't intend to stop - filming of the next sequal will start in August. In 'Breaking Dawn' we can expect half vampire and half human baby which is why we can expect that this sequal will have more CGI effects. The vampire hit movie 'Twilight' with four trophies won was an absolute winner of the People's Choice awards in Los Angeles. Read more about awards in the article..
Bryce Dallas Howard, a young actress who has replaced the red-haired Rachelle Lefevre as Victoria, announces that the third part of 'Twilight saga' will be filled with exciting scenes and actions. The fans of this vampire series will be breathless. Robert Pattinson has a place on the list of People magazine as one of the person who marked 2009. year. Apart from the favorite teen actors from 'Twilight saga', there are also listed 25 intriguing public figures like Taylor Swift, Rihanna, Oprah Winfrey, Susan Boyle and Britney Spears. Neither Rachel Weisz, 39-year-old British actress, is not immune to the charm of the star of 'Twilight saga' Robert Pattinson, and says that he delighted her. Beautiful Rachel said that she can't wait to meet Robert. MTV News is announcing their top nine men and women of 2009. The list started with Eminem on 9th, Drake on 8th, Kanye west on 7th place. Today, they revealed that Rob is #6 on their list! Robert Pattinson Claims That He Is Single! Rob gave interview to Vanity Fair. It was interesting! :) Specifically, the question about relationship with his colleague from the movie Twilight Kristen Stewart, Robert said that he is still single and added: "Almost everything written about my private life was inaccurate." Read the rest in the article.. The results of the survey conducted because of placing the largest branches of mistletoe in the world at the terminal 5 on London Heathrow Airport, have shown that the most girls would preferre to kiss the stare of "Twilight saga" Robert Pattinson and the boys would like to kiss Cheryl Cole, from the band Girls Aloud. Although rumors began to circulate that Robert Pattinson will play John Lennon in a film about the famous Beatles, 'Yellow submarine', an official confirmation has not arrived. Star magazine in a recent interview with Robert announced negotiations between actor and producer Robert Zemeckis. Read more in article! The official poster for Robert Pattinson�s movie Remember Me which will be released on March 12 2010, has just been released. See the recent performance of the 'New moon' stars in a humorous show with Jimmy Kimmela and learn new things about Kristen, Robert and Taylor. See videos! Rob talked with MTV. You can watch video where Robert is talking about Remember me and Eclipse. Also we are covering what is Robert saying on official Twilight Twitter account. We are bringing to you awesome news! You can watch the streaming live video from the L.A. Premiere of The Twilight Saga: New Moon, see interviews with Robert and pictures from this event! Read more in this article..
Watch the video where Robert Pattinson is named Prom King at the BBC Switch Live Awards 2009. The winners were voted by the public, and the awards celebrate the best of BRITISH talent from the past year. New Moon stars Kristen, Robert and Taylor were in Munich, Germany to present �New Moon� during the HVB youth event at the Olympic Hall, watch video and some photos from this event! Robert Pattinson was in Paris, London, Madrid and another cities to promote New Moon movie! We added four videos where you can watch how Rob is promoting - New Moon! After months of media speculation about the alleged relationship of the main star actors of 'Twilight saga' Kristen Stewart and Robert Pattinson, an American magazine OK! came to an exclusive discovery - the couple ended the love affair. Young actors, Robert Pattinson and Kristen Stewart live together, sharing a luxury apartment while filming the set of the third part of Twilight saga in Vancouver. New Moon Soundtrack - will be published earlier?! Due to unprecedented pressure, record label Chop Shop / Atlantic changed the release date of the soundtrack for the movie 'New Moon'. Probably, the soundtrack will be out four days earlier than the initial date. Nikki Reed, a beautiful actress who is Rosalie Hale in the 'Twilight' saga, was recently revealed that she is a member of Team Jacob. Although it was expected that Robert and Kristen will come to this year's awards ceremony Scream, at the last moment it was confirmed that they won't. A documentary film about Robert Pattinson?! The production company Revolver bought the rights for filming a documentary film about Robert Pattinson and the phenomenon of 'Twilight'! According to some announcements, the film should appear on DVD in November this year. Robert Pattinson in a role of Prince Harry? Peter Kosminsky soon will begin the shooting of the film about Prince Harry, and the rumour is that the main role could get Robert Pattinson. In the "game" is also Rupert Grint, we know him from the movies about Harry Potter. 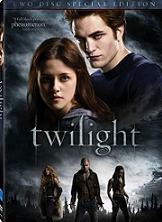 Everything connected with the movie 'Twilight' is sold out without any problems. On American shelves everyone can find a variety of pastries with favorite movie characters. Read more..
Robert Pattinson and Kristen Stewart, according to well informed sources from the set of the movie Eclipse, the third sequal of Twilight saga, aren't hiding their relationship anymore. Read more in the article..
We bring you new interesting 'new moon' posters where you can see Edward, Jacob and Bella! Speaking about his role in 'Twilight', Robert said to one journalists that he had trouble finding the book 'Twilight' in Britain. The book was sold in millions of copies and in London Robert couldn't find one. Looking a bit worn down because of a long day, Robert Pattinson was spotted making his way back to his hotel in Vancouver on Saturday night (September 26). Judging by the statements of Ashley Greene, Taylor Lautner and screenwriter Melissa Rosenberg, the one thing we can be sure when the film Eclipse is the issue and that is that fans can expect more darker and bloodier movie. American premiere of "New Moon" movie will be in 58 days and interest for one of the most important movie sequels is getting higher and higher. After the exclusive new trailer take a look at pictures from the set of "New Moon" movie. Exclusive trailer of the movie 'New Moon' appeared on YouTube. Check out the video! Kristen Stewart said that her fellow actor, and as rumored boyfriend Robert Pattinson � doesn't take steroids. Robert Pattinson, Kristen Stewart and Taylor Lautner showing The New Moon Trailer At The MTV VMAs! Robert Pattinson and Kristen Stewart, heroes of the Twilight Saga appeared on MTV Video Music Awards (VMA's) where they promoted the new sequal "New Moon". educational purposes. No infringement is ever intended.